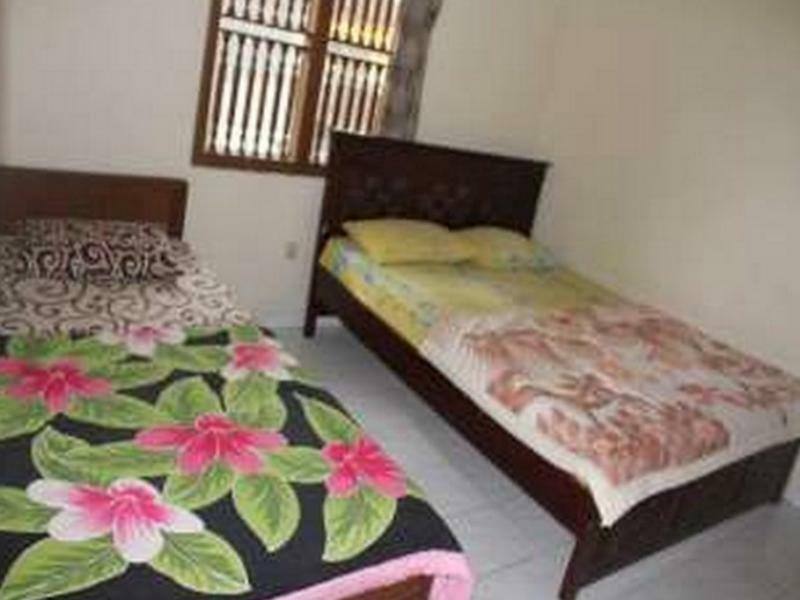 "An older style guesthouse with basic facilities, with friend..."
Have a question for Pelangi 2 Guest House? Planning an incredible getaway is easy when you stay at this two-bedroom house in Ubud, Bali. This house is close to Komaneka Gallery, Ubud Market, Museum Puri Lukisan, Ubud Palace, and Saraswati Temple. It is equipped with family rooms, giving you space to spend time together throughout your stay. Offering guided tours, it is the perfect place to stay to learn about your surroundings and see everything you can while you're here. With dry cleaning services and laundry services, the house offers a variety of useful services for guests to utilize. It provides free Wi-Fi in all rooms, as well as Wi-Fi in common areas, so you don't have to spend money on a local sim card while on vacation. It features a front desk that's open at all hours, so there is always someone on call to help with any questions. The house offers check-in from 02:00 PM and check-out until 12:00 PM. It has a range of transport options including airport transfers and bicycle rentals. Bangli Bus Terminal is 12.2 km away and Ubung Bus Terminal is 15.1 km away. The nearest airports are Ngurah Rai International Airport (DPS) and Lombok International Airport (LOP), which are located 28.4 km and 113.6 km away. An older style guesthouse with basic facilities, with friendly helpful owners, location on quieter street, with garden outlook.